Scentsy Whoot Mini Warmer – a finely detailed warmer that glows golden when on. Flip the switch and watch this symbol of wisdom come to life. New! 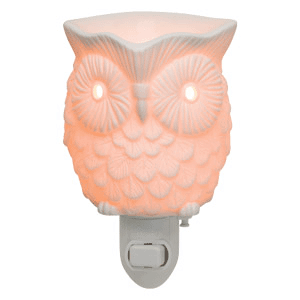 Whoot owl warmer is finally a nightlight too! It’s a finely detailed warmer that glows golden when on. Just plug it in and Flip the switch and watch this symbol of wisdom come to life.